Lumina, created by fourth year medical student Eric J. Zhao and his team, is an improved Toolkit for Central Line Access. The Lumina team―which consists of engineers, students, and physicians including Dr. David Agulnik―is driven by a shared belief in improving health outcomes for Canadians through evolutionary design. Its creation was catalyzed by the support of the medtech community in Vancouver and the entrepreneurial spirit in the faculties of Applied Science and Medicine at the University of British Columbia. The device combines the tools for needle insertion, flashback verification, and guidewire insertion into one compact, ergonomic tool. With Lumina, the user can advance the guidewire immediately after flashback. The team has also designed a simple modification to existing dilators―a slit running down the entire length of the dilator―that allows the dilator to be snapped onto the guidewire anywhere along its length. This decreases the travel distance and risk for compromise of sterility when working with long guidewires. Lumina is committed to finding simple solutions to tough problems. This tool will enable physicians to have more control in ER scenarios, helping them perform at their peak performance and provide excellence in health and patient care. 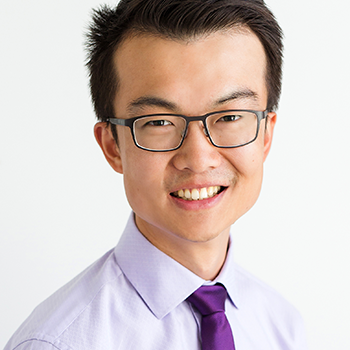 Eric J. Zhao is a fourth-year student in the Faculty of Medicine at the University of British Columbia. He has a MASc in Biomedical Engineering from UBC, where he first gained experience in biomedical device development as a student in the Engineers in Scrubs program. He is looking forward to finding new problems amenable to engineering solutions in his future clinical practice.